The Anhänger (2 achs.) für 30 m Kurbelmast - trailer (two-axled) for 30 m radio mast (Sd. Ah. 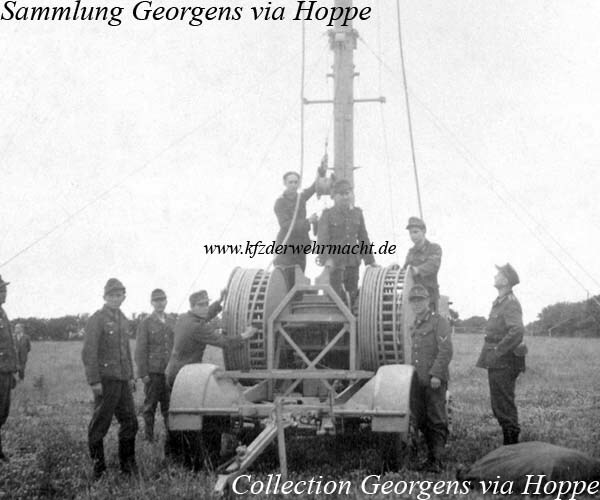 127) was used for transportation and errection of a 30 m radio mast. Antenna systems of the UHF systems Fu.G. 2, 3 5 and 6 could be mounted to the radio mast. The trailer in the photo illustrates a late version of the Sd. Ah. 127.